gence is undeniable. And unlike its heyday during the First World War, it doesn’t rely on posters and leaflets and the bombast of politicians. It’s also taking more insidious forms, like bots and advertorials posing as news stories. In this edition, we take a look at modern forms of propaganda being deployed, and some of the communicators and analysts working to expose it. If you have conservative relatives and friends on Facebook, chances are you’ve seen memes circulating on social media expressing outrage at immigrants and refugees receiving greater social security benefits than pensioners or veterans (not the case), and lamenting their perceived drain on the economy. Salon delved into a Harvard study on the perceptions about immigrants in six countries (Britain, France, Sweden, Italy, Germany and the U.S.) and how they stacked up to reality. Native-born citizens of all six nations had beliefs about immigrants that were wildly out of step with the truth — unless they had an immigrant friend or colleague. 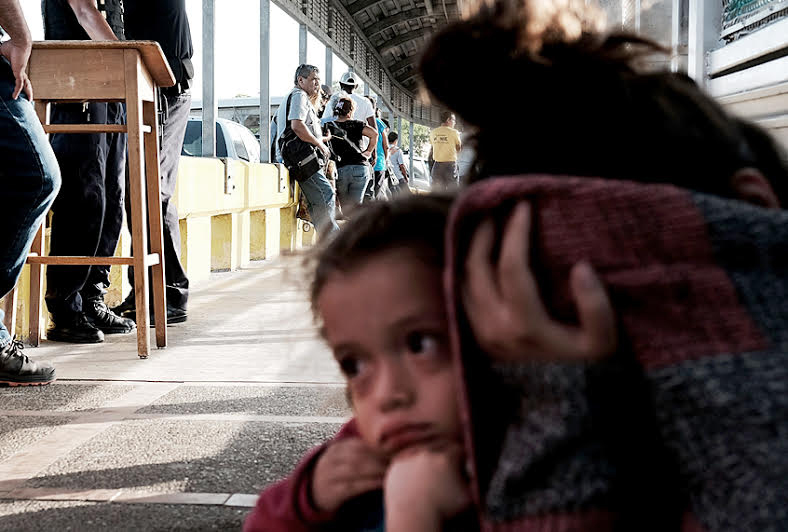 Though the vehemently anti-immigrant camp are unlikely to change their views, the study suggested there is a big opportunity to challenge people’s perceptions through education campaigns and news stories shining a spotlight on the realities of immigration. In the latter half of 2017, a social sciences scholar from Virginia Commonwealth University named Caroline Orr (better known as @RVAWonk) rose to prominence as the most insightful voice on Russian involvement in the Trump campaign for her work analyzing hashtags. Two that offered remarkable data were #MediaLiesAgain and #CNNBlackmail, which trended on Twitter after a surge in retweets from Russian and Macedonian accounts with few followers. The latest false information campaign Orr has uncovered is #WalkAway, in which former Democrats appear to announce their reasons for defecting from the Democratic Party. Their reasons typically cite some part of the “civility” debate that arose after Maxine Waters’ warned elected officials that if they refused to stand up to Trump’s policies, they should expect to be confronted by constituents. Days later, Sarah Sanders’ was asked to leave the Red Hen restaurant in Virginia, which further fuelled the debate. #WalkAway first appeared in May 2018, but really blew up on June 23, with engagement rates reaching 5,000 percent. Orr lays out the data in this Medium piece to show how the campaign was manufactured and artificially amplified, and offers media and the public tools for discerning viral campaigns from fake ones. The authors of the report, which was covered by the New York Times, Gizmodo, Fortune, BBC, The Verge and more, are hoping to encourage Amazon to destroy racist products in its warehouse and commit to greater transparency around the enforcement of its policies. Their research found that despite Amazon’s 2015 pledge to remove Confederate flag-adorned products from its site after the massacre of 9 black parishioners in Charleston, South Carolina, such products are still readily available. Is AI the answer to our fake news epidemic? Despite promises from Facebook and Twitter to take steps to crack down on the deliberate spread of misinformation on their sites — and the profits they’re deriving from it — fake news and clickbait continue to undermine truthful public discourse. A group of companies offering automated fact-checking may hold the answer: their technology examines repeated claims like employment statistics, then scours the internet for places they’ve been cited before and whether there is evidence to substantiate them. The solution isn’t perfect and still requires some human moderation, but outlets such as Associated Press and the Washington Post are looking into implementing these tools as a preventative measure against fake news. Getting Curious podcast with Jonathan Van Ness: Everyone’s Fab Five favorite sits down with experts to talk about the topics he’s curious about, from climate change, to whether Saudi Arabia should be applauded for its seeming modernization, to cutting suicide rates for LGBTQ youth. Jonathan’s earnestness in trying to understand more about the world around him makes it a must-listen.